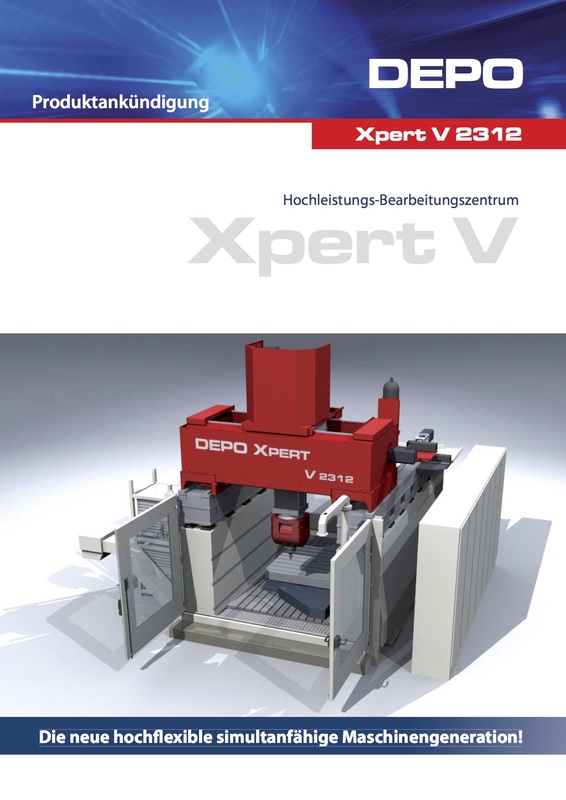 The DEPO XPERT V enhanced vertical machining centre features a high level of flexibility and above-average productivity. An optimal adaptation to individual production requirements is possible thanks to the modular and extremely robust constructed set-up. 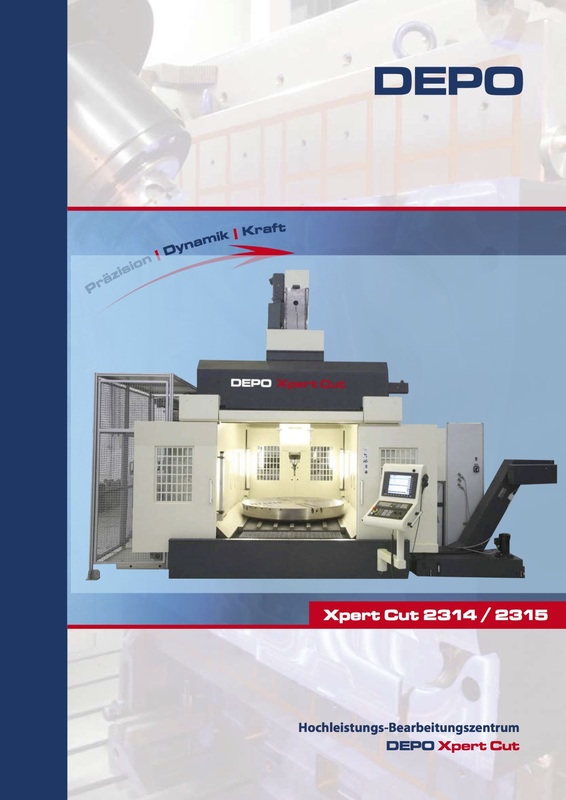 The thermosymmetrical design with a 4-fold guided slide unit in the closed double crossbeam structure as well as the gantry design of the main axes have proved to be outstanding in many delivered DEPO machining centres. 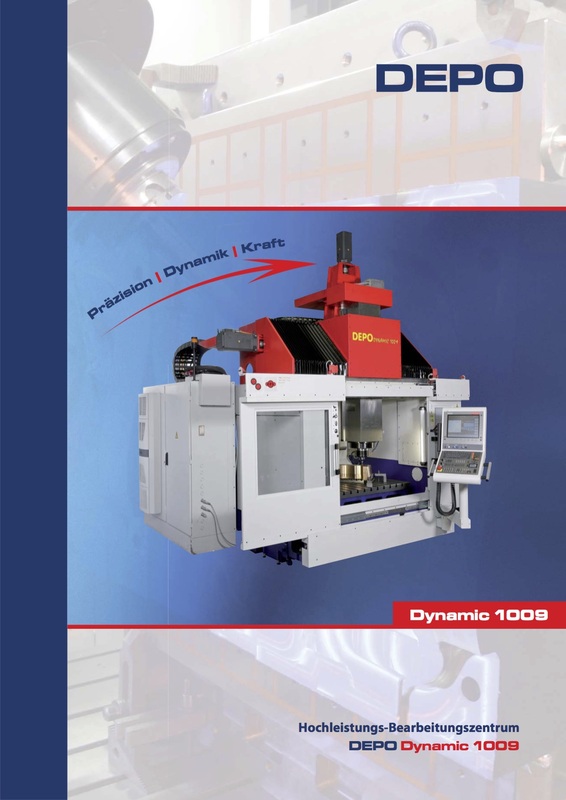 Interchangeable fork-type milling heads with direct drives and high-performance motorized milling spindles convince with powerful and effective roughing and finishing processes of the highest precision with excellent surface qualities. 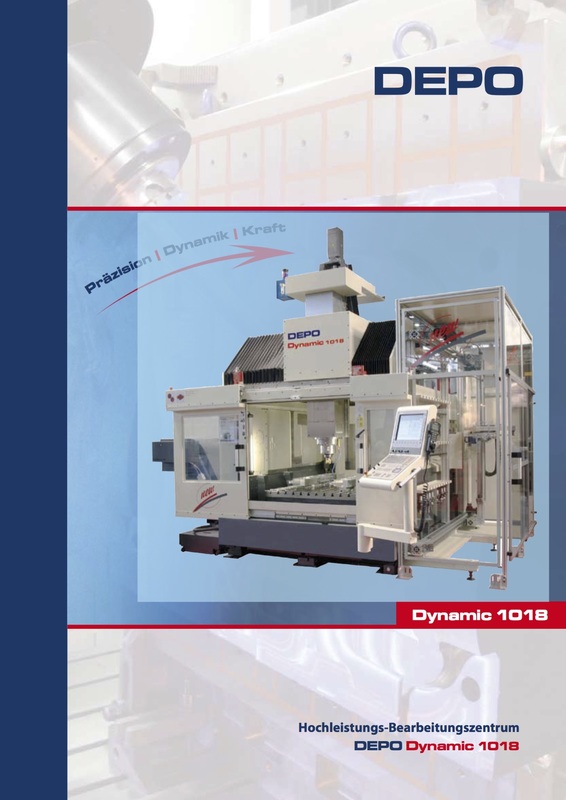 The dynamic machining process with high traversing speed is very effective thanks to the principle of constantly moving masses, independent of the work piece weight. The work area can be configured in height and length thanks to the modular design of the side walls made of mineral concrete. The width is determined by the cross member. The permanently installed clamping plate is very well accessible due to its low height, an enormous advantage with work piece handling. Rotary tables with simultaneous operation capability in different configurations offer a wide range of machining possibilities. Diverse automation components (e.g. tool robots, work piece handling systems etc.) can be implemented. 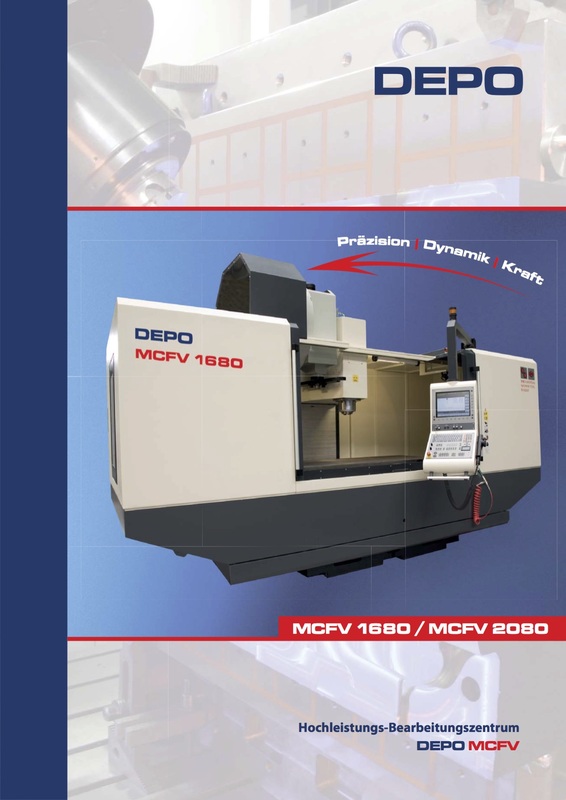 Cutting edge control technology and DEPO programming systems round off the high-performance machine concept. Enormous rates of increase in the production process can be achieved with the innovative, patented DEPO SPEED SHAPING machine cutting method.